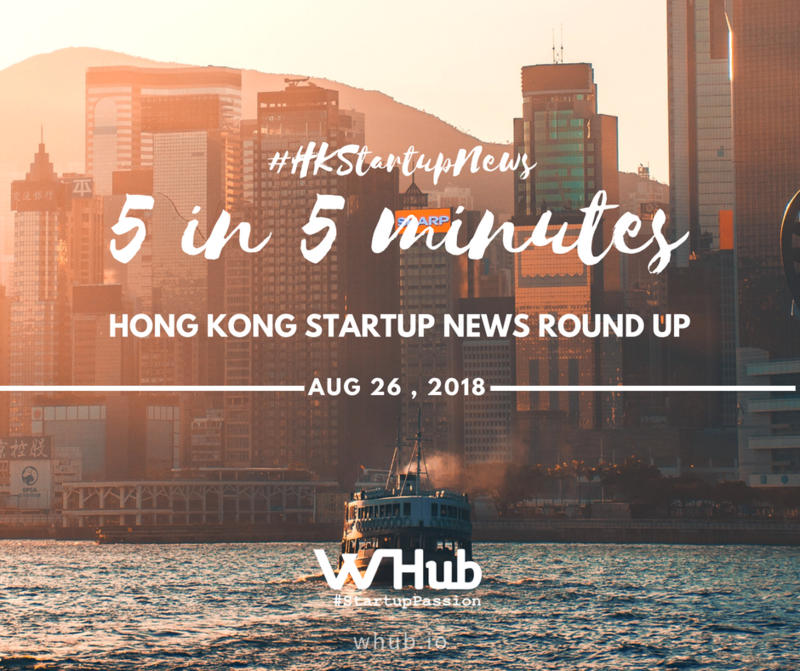 Did you know that these local key-players featured in this week's news roundup - Spark, Block.one and BitMEX are featured in WHub's Startup Ecosystem Toolbox? Learn more about them, and find out who the other big shots in the startup space are! Or better still, grab your tickets for the launch of the 2018 edition on 4th Septemeber, at Metta, to hear ecosystem leaders speak & meet with them over nibbles & beverage! Use Promo code WHUB50 to get 50 discount, grab your ticket now! HK’s blockchain startup Spark (formally Bitspark) and UK based RemitOne announced their partnership to offer Money Service Businesses (MSBs) from UK, Europe and North America a remittance solution that addresses the de-risking or remittance bank account issue they face. The joint solution does not make use of a remittance bank account and makes it possible for MSBs to send remittances through formal channels easily. Spark, specialising in cryptocurrency money transfers, provides inclusion points for MSBs to cash in and out, allowing businesses to send payments quicker and cheaper, without the need for a bank account. MSBs can also access Spark-created stable cryptocurrencies pegged to 180+ national currencies, opening up new markets previously inaccessible. De-risking is used by banks and regulators worldwide to address and mitigate risks pertaining to Anti-Money Laundering (AML) and Combating the Financing of Terrorism (CFT). Blockchain technology can help with de-risking by reducing regulatory compliance costs while increasing transactional transparency. Tencent, one of the world’s leading providers of internet value-added services, recently launched, Tencent WeStart (Hong Kong), Hong Kong’s latest creative hub in Kwun Tong. FinHACK 2018, co-organized by WHub and Societe Generale, was the event to be held at the well-equipped new space. This is the first Tencent WeStart outside of mainland China and is part of Tencent’s vision of empowering entrepreneurs and transforming the Greater Bay Area into a dynamic innovation ecosystem. Targeting a new generation of digital content creators and start-ups, Tencent has partnered with digital specialist VS MEDIA for its extensive Greater China experience and strategic partner K11 for its unmatched commercial real estate in the region, including creative office building KOHO in Kwun Tong, where WeStart HK is located. Tencent WeStart’s ecosystem currently supports over 200,000 active community members with over 15,000 startup projects across its 36 spaces in China. Hong Kong was strategically chosen by Tencent for its location in the Greater Bay Area, its status as Asia’s leading international financial centre, and its vital role in the One Belt One Road initiative. HK digital currency exchange BitMEX, a trading platform for bitcoin and other cryptocurrencies, has rented the entire 45th floor of the Cheung Kong Center for HK$225 per square foot per month, making it the most expensive office in Hong Kong. The cryptocurrency firm will take nearly 20,000 square feet in Li Ka-shing’s skyscraper in Central, the city’s core financial district, according to sources. That would mean the monthly rent will be nearly US$600,000. According to The Sunday Times, BitMEX is worth around US$3.6 billion. It is one of the largest trading platforms of bitcoin in the world. Hong Kong-based Block.one, which operates the blockchain platform EOS.ios, has appointed Alex Erasmus as its chief legal officer in Hong Kong from Clifford Chance, a well established pre-eminent law firm, where he was a senior partner in the firm’s London office. Block.one publishes the EOSIO blockchain software protocol and is a seller of the EOS Token, a top-five cryptocurrency. Erasmus, who will be a member of Block.one’s executive committee and report to Group President Rob Jesudason, will oversee all of the group global legal, regulatory and compliance activities. Erasmus specializes in global corporate finance, including corporate governance, public and private M&A, restructuring, regulatory and commercial work. Gravity Supply Chain announced a partnership with Microsoft, enabling it to accelerate the delivery of its Software-as-a-Service (SaaS) solutions. Gravity provides organizations with real-time, end-to-end visibility of the supply chain. Its software also provides predictive insights, prescriptive actions and automated decision support across a company’s global sourcing, supply chain and logistics networks. Gravity will leverage Microsoft’s Azure cloud platform to continue the deployment of market-leading, differentiated SaaS solutions for its customers at a faster pace.